Buy it now from Bandcamp! A collection of folk-pop songs inspired by people and places in the Canadian prairies. Backing vocals by Kat Goldman. Stories behind the songs, and select lyrics too! I have very clear memories of the local ‘Dine-a-Mite’ cafe that operated for years, in my hometown of Punnichy, Saskatchewan. There were juke boxes at every table and the coffee counter with its round whirly stools was where all the farmers would line up every morning to talk away the early part of the day. I can still kind of smell the crap on their shoes. I don’t really know what their conversations were about (and they’d likely bore me stiff! ), but I bet they were laced with optimism about the crops they’d planted and about life in general. Prairie people are the most optimistic people you’ll encounter anywhere. This song sets out to capture that sense of optimism you’ll find around my rural home. Maybe my clouds ‘ll slowly fade and wash away. Being away from the prairies for a long time was what gave me a sense of what a great place it is. Sure it’s as cold as a deep-freeze in the winter, and can be hotter than hell in the summer – but it’s such a relaxing place to be – honestly!!! Having lived in Ontario, Ireland and Quebec over the last 10 years gave me a chance to see Saskatchewan from a distance – and really appreciate it more than ever. There are certain things that I encounter wherever I am – a breeze, a sunset, a blue sky – that really remind me of where I grew up. I wrote about that in this song. In October 2004 I had the chance to attend a songwriting workshop on the Aran islands – off the west coast of Ireland. During the week-long event, I was paired up with various songwriters to work on tunes. One pairing was with Eva Hillered from Sweden. We were given a task one afternoon, of writing a song with the line -‘unfinished rooms’ in it. When we sat down with our tea, the idea was to have it be a tune about a relationship and we started tossing ideas back and forth at each other. I think we came up with something good between us; we clicked really well on this one. She recorded it in Sweden with a band and released it on her latest album. She did a wonderful job. I decided to do an acoustic piano-vocal version of it. 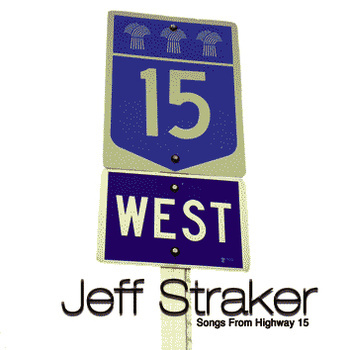 The mood and sound fit with the ‘prairie-theme’ of ‘Songs from highway 15’ so I couldn’t resist putting it on the album. Almost everyone who grows up in a small town dreams of busting out when they’re done school. They just want to taste the big world that’s out there waiting for them. My first break-away from my hometown of Punnichy, was to live in Regina (about 80 miles away) – to be a room service waiter in the Regina Inn, while I studied piano at the conservatory of music for a year. It seemed like such a grand and far move at the time! Jesus – what was I thinking? I could practically spit home. ‘Walk Away’ is about this big break away…..
Or stop what I’ve begun, What am I runnin from? A Saskatchewan man who made the Canadian news in a big way over the past years was Robert Latimer – when he took the life of his daughter and was sent to prison for his act. His daughter was severely handicapped and apparently in great pain and he argued that he ended her agony. Some think that what he did was right, and some think it was wrong. And that’s certainly not for me to decide. Rather I wrote about what he was possibly thinking & feeling around the time when he did take Tracy’s life, and what he might be thinking now. I’m very lucky to have all my grandparents still around me, in great health, and great spirits. My grandmas are the best perogie makers this side of Winnipeg, and my grandpas can both spin a yarn like you wouldn’t believe (and most of the time you shouldn’t…..). But as the years creep on by I find myself thinking of all the things I still have to say to them and the people around me. There will come a day when it’s too late. So why not talk to everyone and say everything now? Mrs. Bell was a lovely, lovely woman who lived in my hometown of Punnichy, SK. Her background was East Indian, so in our prairie town of 270 people she stood out. I knew her because she was the mother of a good friend, and wife of my high school chemistry & physics teacher. However, unfortunately being different in a small town wasn’t easy. She had some friends indeed, but I recall people generally not mingling with her, despite her being the loveliest lady. I wrote about how I remember this wonderful human being. Mrs. Bell – this one’s for you! Joni Mitchell is my ‘absolute-favorite-by-a-long-shot’ songwriter of all time. Amen. She grew up in Saskatchewan. Then she left and made it big. Her song ‘River’ was recorded and released in 1971 on the BLUE album. I wasn’t even thought of at that point. I bet I wasn’t even a notion of a thought? Her song River is just amazing. I recorded my own version of it on this album. I changed it a bit. I hope she doesn’t think that I f#*ked it up…..
My parents are funny people. Everyone’s parents are funny people. My mom amazes me because she cooks like no one on the earth, plays piano like the devil, and has recently learned to play the fiddle. And then rounded up about 5 other neighbour ladies to play, in a sort of fiddle ensemble. My dad amazes me because he talks to the dog, Chimo, like he’s a human. It’s mesmerizing. I think he has some amazing conversations with him. I find it strange and kind of cute in a ‘look at the crazy man talking to his dog’ kind of way. Parents get older and make you realize that you’re not immortal. I’m lucky to have parents like mine. This song is for them.